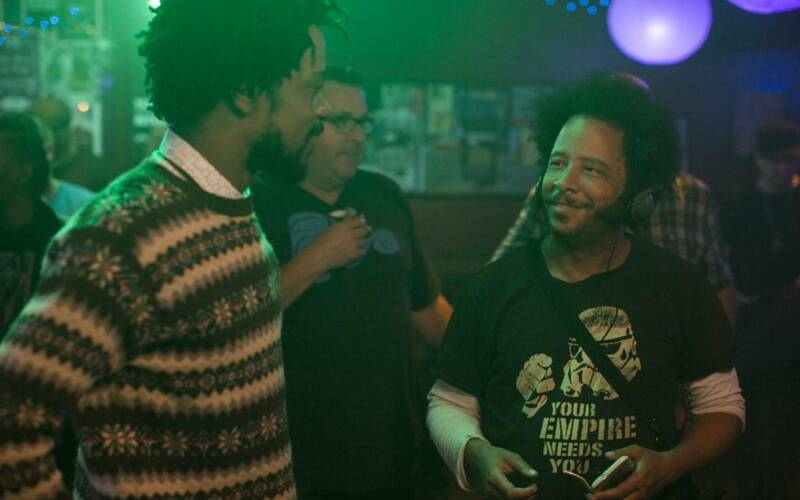 If you feel your cheeks burning with familiarity as you watch Boots Riley’s directorial debut Sorry To Bother You, you're not alone—especially if you're from Oakland. Whether it's the film's reference to The Rusty Skupper, where Oakland party promoter Geoffrey Pete once threw parties, or the iconic Cathedral Building at Telegraph and Broadway, or downtown dive bar The Layover, I caught about 20 hot flashes as a veritable déjà-vu checklist unfolded on the screen. Telemarketing job with ex-punk middle management? Check. Boyfriend that lived in a garage? Check. Paying for gas for your not-even-close-to-legal rustbucket car with pocket change? You know it. Set in an alternate-universe Oakland, Sorry To Bother You follows Cassius Green, played by Atlanta’s Lakeith Stanfield, as he makes one Faustian moral compromise after another in pursuit of paying the bills. Cassius' downward spiral begins with a coworker (Danny Glover) advising him to “use your white voice” (a tone reminiscent of a children’s show puppet, dubbed by real-life white guy David Cross) in order to climb the ladder at his telemarketing job (set in the Kaiser building in downtown Oakland). It then winds its way through a dark corporate netherworld of slimy despair. The “don’t sell out” moral of the story is delivered with all of the subtlety of a circus clown with an erection, but appropriately so—there’s nothing subtle in being a person of color fighting to survive capitalism. Could there be parallels between Cassius’ rise from telemarketing pit worker to “power caller” and Riley’s path from hometown activist musician to widely lauded Hollywood director? Riley may not be as accessible as he once was as he undertakes a grueling promotional tour for the film, but even a brief conversation puts any fears of moral compromise to rest. When I talk to Riley on the phone, many of my questions trigger political tangents. When I ask if he fears that the film adding to Oakland’s cool-factor visibility could spark a greater influx of gentrifiers than the one the city currently faces, he assures me matter-of-factly, “They’re already here. I don’t think that anything we can do with art can protect it from invasion. I think the only thing we can do is get behind rent control.” He then goes on to discuss the merits and voter history of rent control in Oakland while I silently wring my handkerchief and sweat over the ticking clock of our time-limited interview. In other words, this is still the same Boots Riley that most people know from his 25 years fronting radical East Bay hip-hop group The Coup. And it’s Riley's intimacy with the Oakland that a lot of us know—full of artists and activists, diverse, and currently under siege by corporate interests—that lends an undercurrent of believability to the kaleidoscopic version of The Town presented in Sorry To Bother You. Degrading jobs, homelessness, corporate greed, and police brutality are viewed through a cartoon lens that's equal parts hilarious and horrifying. It’s a balancing act that could easily take a wrong turn in the hands of an outsider with a two-dimensional view of Oakland, but in Riley's hands, there's a lot of truth in the bright and absurd universe that he's constructed. 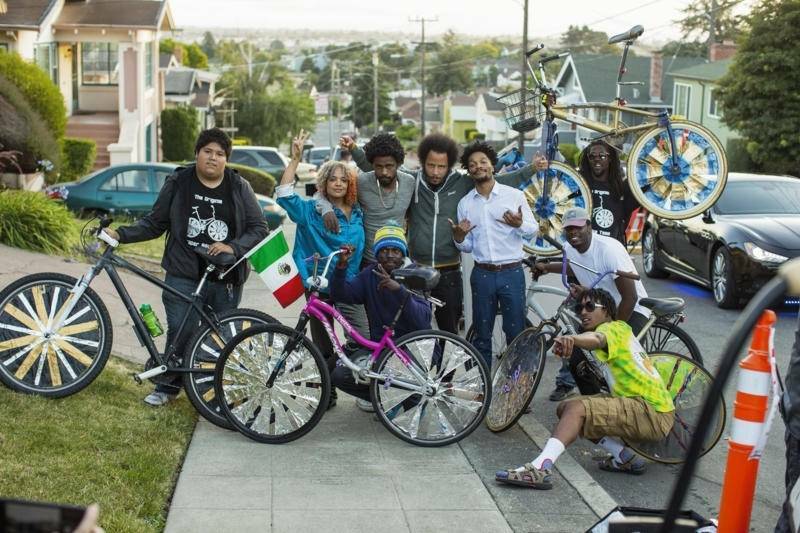 Local music fans might also notice a humorous mention in the film of journalist Eric Arnold, who distinguished himself by writing about Oakland hip-hop in publications like 4080, The Source, Wax Poetics, Complex, and the East Bay Express. 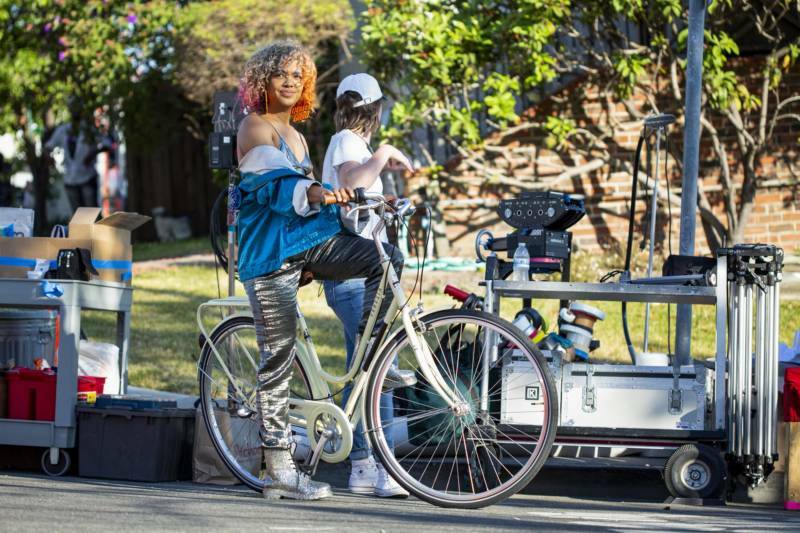 Sorry To Bother You isn't the first black science fiction film set in Oakland. The other well-known two, Sun Ra’s Space is the Place and Ryan Coogler’s Black Panther, are decidedly afrofuturist, whereas Sorry To Bother You feels like it exists outside that amorphous genre. Maybe because, in spite of its magical realism, it’s tethered to so much reality. Indeed, even the fantasy elements of Sorry To Bother You seem plausible. The employee living quarters of the Worry Free corporation – bunk-bed barracks reminiscent of an Ikea-sponsored orphanage – would scarcely raise an eyebrow if you came across it during a Craigslist housing search in the Bay Area nowadays. But it wasn't so long ago though that a greedy landlord charging $2,000 to live in a sheet fort off Fruitvale would have fueled dozens of outraged Facebook posts. Given this steep decline in expectations of decency, coupled with the rapid advancements in technology that have occurred since the original script was drafted in 2012, I wondered if there had been anything Riley had to remove because it had proven prophetic. 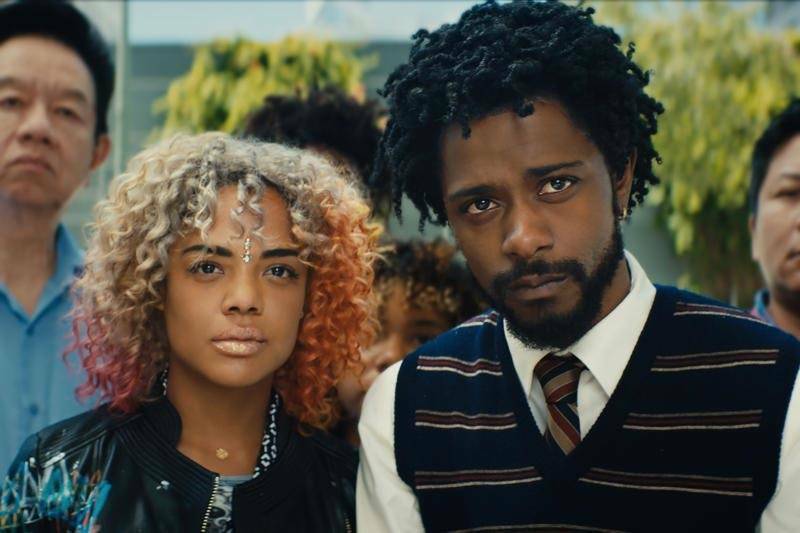 Although it contains much that will be relatable, particularly for Bay Area audiences, Sorry To Bother You is also, well, insane. As Cassius begins the upward climb that triggers his downward spiral, recovery wisdom dictates that he will eventually hit the proverbial rock bottom. But the moment never seems to come. “This must be it… Oh damn! Ok, THIS must be it. Nope…” The film reaches a Caligula level of batshittery that comes out of the blue, trust me. And despite Sorry To Bother You’s wild and subversive nature, don’t make the same misstep I made and call it a cult film. Not to Riley, anyway. He predicts that it’s exactly the type of movie a growing segment of the mainstream is craving; the same audience that made Jordan Peele’s horror film Get Out such a huge success. Peele came from comedy, and Riley came from hip-hop. But Riley also comes from Oakland, and that's what gives Sorry to Bother You its magic. When a creative and ambitious 47-year-old anarchist rapper Trojan-horses his way into Hollywood, the result is something new, a thrilling type of chaos bulging at the seams and somehow still fitting into the regimented structure of filmmaking. A man who went from “sneakin' in to Eastmont Cinemas” to making a widely distributed and star-studded revolutionary film? That might be the most magical element of all. 'Sorry to Bother You' is released in theaters Friday, July 6.